Girl Kuripot Girl Kuripot: Continuation of The #Kayanihan Journey! This is just the start, Folks. 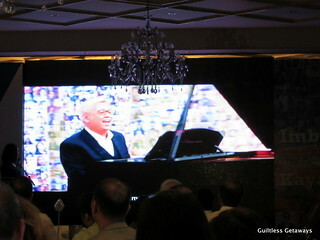 See what Pinoys can do starting with something that's close to our hearts - MUSIC! 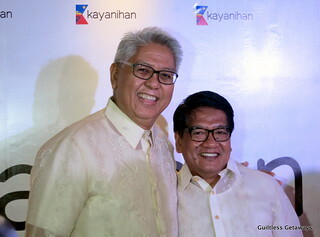 =) The next part of The Kayanihan Project seeks to invite individuals, groups and businesses (even competing in the industry) to take part in collaborative efforts that will promote nation-building. 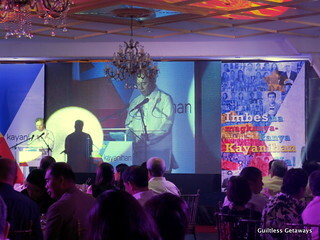 The launch was held at The Club Filipino, also a historical location in the past. Star-struck, super humbled by his presence and only able to watch him from a distance kasi nahiya talaga ako e haha. Mr. C is one of my inspirations for music. I wanted to take music lessons from him as a child and call him Tito. Siguro pag natuloy yun, music blogger ako ngayon hahaha. Thanks to social media, his efforts in the recent years to help the Philippines and Philippine music can easily be spread worldwide. 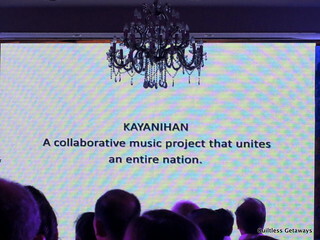 The Kayanihan music video was played for the first time in front of us in the tune of "Kay Ganda ng Ating Musika". I grew up listening to that song so it's very easy to sing along, except for the rap part haha. 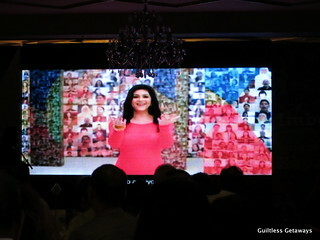 Kudos to Regine also for being part of this and singing the verses beautifully (as always). I'm so proud to be born in the Philippines. Dream almost came true. 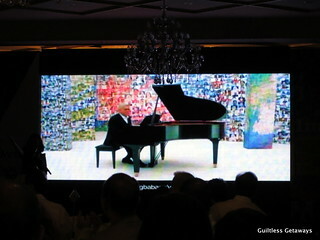 Singing along with Mr. C on the piano hahaha. It's okay to have a new LSS haha. You'll be seeing more of the Kayanihan Song on your favorite TV stations ;) Maybe also in Karaoke machines worldwide soon hehe. Imbes na mag kanya-kanya, mag Kayanihan na! Kaya ni Juan mag-Kayanihan para sa bayan =) Do check out the Kayanihan FB page for new happenings, bayanihan opportunities and collaborations to help the Filipinos in need!